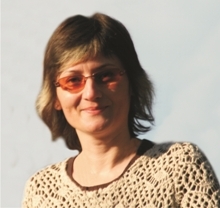 She published 4 books as a unique author, three books as a co-author and over 60 articles and studies. She worked as an expert at the formulation of the qualification grid for the study programs in higher education, areas of study Management (Bachelor) and Business Administration (Master). She participated to various internships and exchanges of professional experience at prestigious universities from abroad. 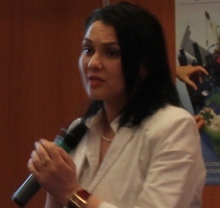 President of the Comission of Studying Marketing problems, Romanian Academy - the branch of Iași. 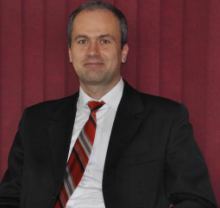 Head of the Collective of Economy and Marketing from The Technical University Gheorghe Asachi in Iași. He is the author of more than 100 books and scientific articles in Romania and abroad. He is the head and member of 14 grants and contracts of scientific research. He obtained 7 awards at international competitions of inventions and creativity. He worked in national catechetical projects (Christ shared to children, Choose school), editor of homiletic texts and history of ecclesiastical rhetoric, he got involved in assistance projects for persons addicted to substances (President of the Blue Cross in Romania), Tv and Radio programs moderator, he participated to public debates. 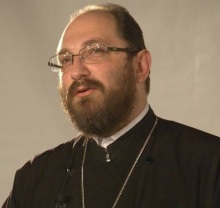 He is an Orthodox priest, metropolitan counselor in Ardeal. He participated to different internships in different universities and profile associations in France, Belgium, Italy and Slovenia and with different professional associations and departments in the area (European team of catechesis, The Catholic institute in Paris, Salesian University in Roma). Awarded by the Academic Society of Management in Romania and Third Prize AFER - the Association of Faculties of Economics in Romania for the book "Cultural diversity in management. An interregional approach ", 2011, University Publishing House " Alexandru Ioan Cuza ", Iasi. She has published over fifty articles in specialized journals and conference proceedings, national and international, as author or co-author. 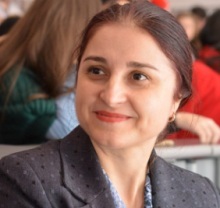 She attended post-doctoral studies at the Romanian Academy in Bucharest (research topic: The Semiotic Aspects of Economic Explanation). 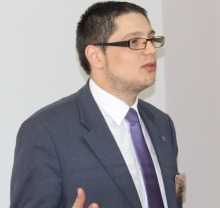 He has been PhD since 2011 in Marketing (Romania) and Management Sciences (France). He is a member of the University Senate, vicepresident of the Comission for didactic activity, assurance of quality and academic development. In 2009-2010, he was a laureat of the excellence fellowship Eiffel, PHD level, granted by the Government of France. He was invited as a trainer for different international organizations from Francphonie and Agence Universitaire de la Francophinie. 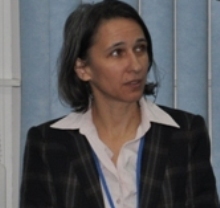 Silvia Făt is Lecturer at Psychology and Educational Sciences Faculty, Teacher Training Department, University of Bucharest. She is currently involved in in-service and continuous training programs for teachers. Professional interests are related to educational projects development in European and Romanian context. 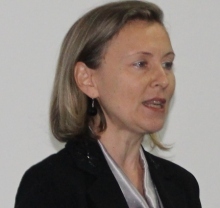 She is educational expert and researcher offering consultancy to various ICT/training companies in Curriculum design, Instructional Strategies and Evaluation, Educational Management. The aim on short term is to index the journal in the ISI category and, on long term, to obtain a representative factor of impact. is supporting the needs of collaboration between individuals, companies, universities, nongovernmental organizations and communities, in order to generate valuable and innovative results for the humanity as a whole. One of the main objectives of the editorial team is to create a unity between theory and empiricism and also of translation of the theoretic perception about science towards the applied part, practice and useful in organizations and socio-economic environment. In the future, we hope to support the editing of some very important works at the moment. The books that tell us how to be more efficient are flooding the bookshops. Most of them are forgotten. Our aim is to support those titles that change the way of thinking. Our aim is to launch and support scientific blogs like Interorganizational Innovation, Business x Business or Design of Innovation that offers debates and news from science, but also their application, in a way that can be understood by everybody. Blogs bring science and innovation closer to the user and the entrepreneur.